My family recently returned from a vacation in Thailand. While Bangkok wasn’t our main destination, we made the most of the twenty four hours in this incredible city. Our kids were such sports as we dragged them all over the place! 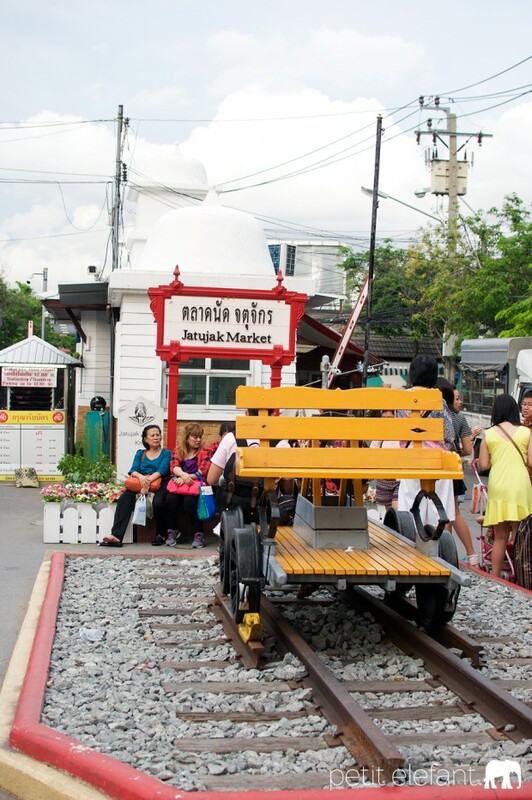 If you’re ever in Bangkok for a day, here are some ideas for a glimpse into this bustling city. 1. Chatuchak Weekend Market otherwise known as Jatujak Market. 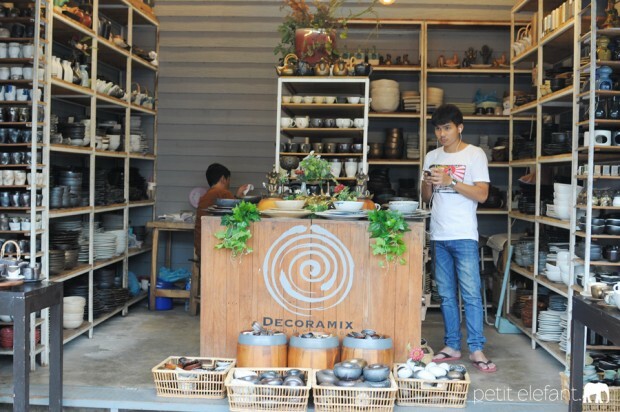 After our week in Koh Chang, we arrived into Bangkok on Sunday around 4, meaning we had two hours to get to Chatuchak and shop before it closed at 6. We dropped our bags and rushed out, because even a whole day in this 27 acre market is not enough time to see all of it. You can eat, get a back massage, buy a new wardrobe, and outfit your home with fancy one-of-a-kind souvenirs for cheap cheap. My favorite item purchased here was a pair of harem pants for the equivalent of about $7. Tip: Thailand, as a whole, is a very safe country. 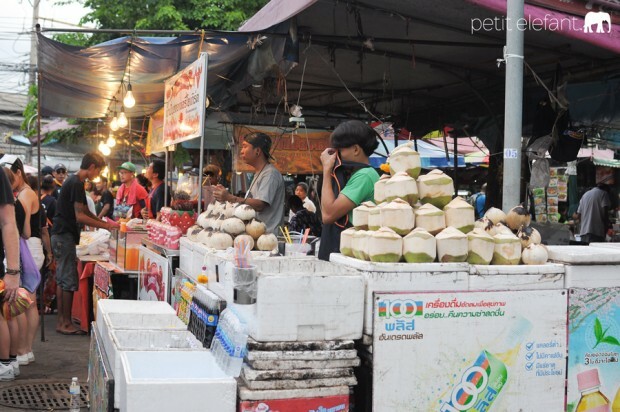 However, in crowded markets like this one, you have to beware of pickpockets. I was here fifteen years ago and my friend’s passport was pickpocketed right out of her bag. Carry backpacks in the front and purses draped across your body for extra protection. 2. Wat Arun other wise known as Temple of the Dawn. 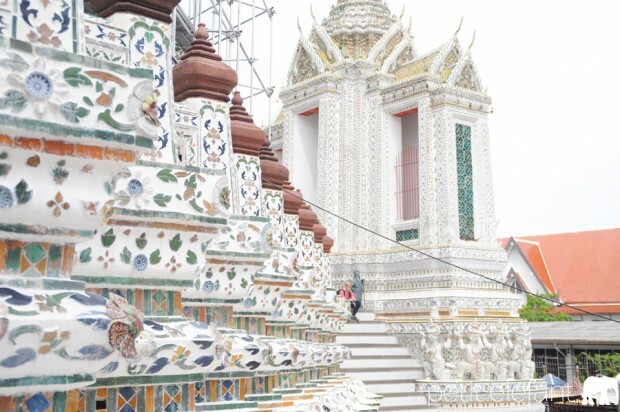 Wat means “temple” in Thai, and according to the website, there are over 31,200 Buddhist temples spread across Thailand. 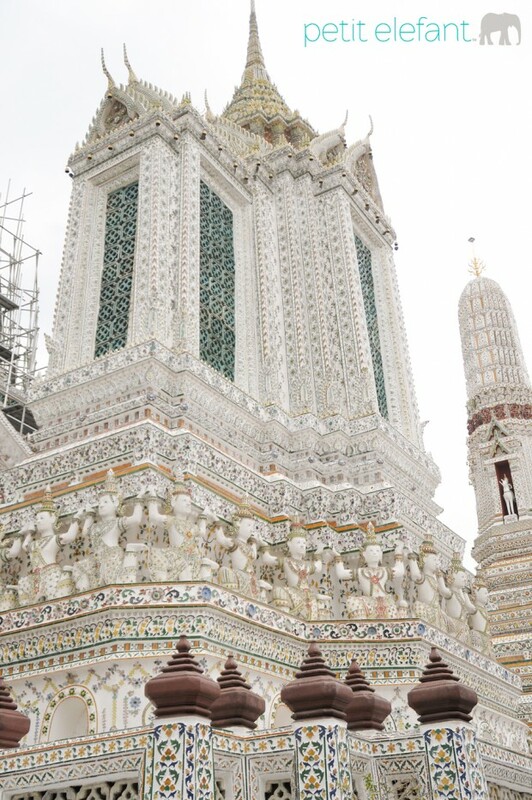 So why choose Wat Arun? Besides the fact that the architecture is amazing with stunning detail, that is? For one, entry for foreigners costs less than $1 per person. Second, it will provide you a great workout with so many steps to climb. Third, I hear there is a spectacular view of Bangkok from the top. Unfortunately for us, they were in the middle of a restoration project and the steps to the top were closed. I also hear that the view of Wat Arun is breathtaking at night. Whether you’re a practicing Buddhist or not, I highly suggest visiting one of Thailand’s temples. We learned so much about this country, and it opened up a great conversation with my kids, full of questions on this religion and their beliefs. Tip: Be sure to cover your shoulders and knees or bring clothing to do so. You can “rent” appropriate clothing for a nominal fee if you don’t want the hassle, but they won’t let you in if you’re not dressed accordingly. We took the scenic route to get to Wat Arun, and I’m so glad we did. We hired a taxi to take us to the Kiak Kai Pier. From there, we boarded a water taxi to stop number 8, Tha Tien. It cost less than a dollar for all four of us, one way. 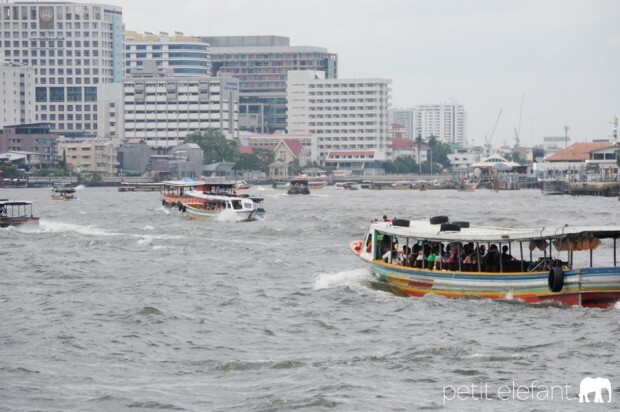 Even though the water taxi was crowded, it was such a fun experience coasting down Chaophraya River to our destination. If you have time, Wat Pho and Grand Palace are on this side of the river also. Excellent places to visit, I hear. Wat Arun is on the other side of the river, but the short ferry ride only costs 3 baht per person (33 baht equals one dollar). 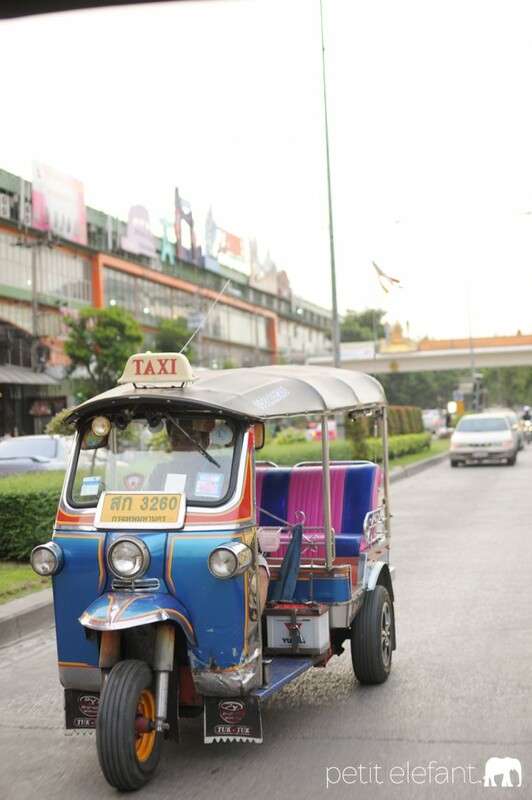 For the adventurous types, I suggest at least one time taking a tuk tuk around town. We found them to be the same price as a taxi, but there’s something exhilarating about riding these little movers through a busy city, not quite as crazy as India, but fun nonetheless. My kids absolutely loved them. One last bit, if you need lodging, I highly suggest KT Guesthouse. The people are friendly, the rooms are clean, a few of the staff speak English and are super helpful, and the food at the onsite restaurant is delicious. They can also hold your bags for you if you have to check out, but have several hours to kill before catching a flight. So there’s my Bangkok for a day tour. Don’t forget to stay hydrated, as a day on the town can produce enough sweat to water your garden! 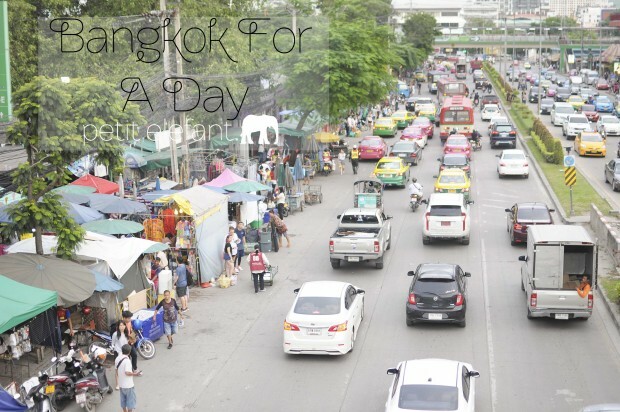 If you’ve ever been to Bangkok, do tell what your favorite part was! Note: None of the places mentioned in this post were sponsored in any way. I’m simply happy to share highlights from my fantastic trip with you! This sounds like a great day out! The temple is beautiful.